Australian veteran spinner Michael Beer has announced his retirement from the Big Bash League (BBL). 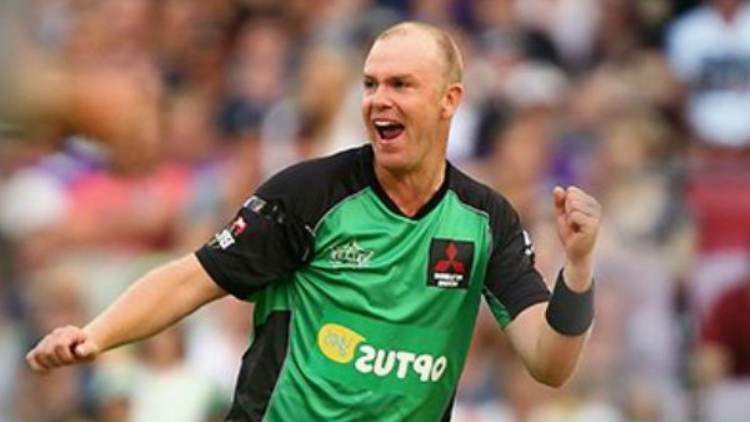 The 34-year-old, who has appeared in all the eight seasons of the BBL, thanked his team Melbourne Stars for all the opportunities and support during his career. “When I first came to the Stars I probably wasn’t enjoying my cricket as much, but the Stars made cricket fun for me again,” Beer said. “I’d really like to thank the players and coaches I’ve been fortunate to work with over the years at the Stars, as well as the club staff and the board for all the support and opportunities they’ve given me and my career both on and off the field,” ESPNcricinfo quoted Beer, as saying. “I’d also like to thank the WACA [Western Australia Cricket Association], Perth Scorchers and Cricket Victoria for my time with them, I’ve been lucky to learn so much from each team I’ve played with,” he added. Shedding light on his future plans, the spinner said that he is looking forward to build on some coaching opportunities that came across his way. “I’m very excited about the next phase of my life, spending time with my family and putting more focus into my coaching. I still really enjoy being around the game and look forward to building on some of the coaching opportunities I’ve had this year,” Beer said. Melbourne Stars coach Stephen Fleming thanked Beer for his services while acknowledging his consistent contribution with the ball. “Michael Beer has played a pivotal role at the Stars, contributing consistently with the ball and a key to our spin strategy for many years. We want to thank him, not just for the brilliant job he’s done on-field, but his all-round service to the club,” Fleming said. “Over the past 12 months he has developed as a mentor for our younger players, and particularly our bowlers, in both the men’s and women’s teams and I can see great potential for him to continue with that in the future,” he added.